Sun is the best medicine, and here are 10 reasons why. Vitamin D – While you can get vitamin D from foods such as oily fish, red meat, cereals, milk and mushrooms, the best and easiest way to get your daily dose is by spending time in the sun. You should be able to get sufficient amounts of Vitamin D by spending around 20-30 minutes outdoors. This is a totally free medicine given to you through the sun’s UVB rays on your skin, and it forces you to get out and get fresh air while giving your body some of its necessary nutrients. Happy Heart – The sun has a special way to lighten your heart and cheer you up. It boosts your levels of serotonin, which is your body’s natural “happy hormone.” Have you ever noticed that you feel more energetic and generally happier when the sun is out? That is because the sun can fight moderate depression, especially when combined with exercise. The sun provides the serotonin and the exercise provides the endorphins – a powerful combination to help you feel happy and fight depression. Heart Health – A recent study by the Universities of Southampton and Edinburgh in the UK suggests that exposure to sunlight may help reduce blood pressure. The Journal of Investigative Dermatology states that this could cut the risk of heart attack and stroke. You can read more about the research here in the Medical News Today article. Sun Salutation (Surya Namaskar) – Yoga has been practiced for centuries and one of the most basic series of yoga poses is the sun salutation. The symbolic moves of sun salutation honor consciousness, self-illumination and the coming of light. Sun salutation connects the physical and spiritual in your life and helps you honor the sun for its benefits in your life. It is practiced in a continuous flowing sequence that improves your stretching and flexibility of your muscles as well. You can read more about setting intentions and “Translating Intentionality Into Every Moment Of Your Life” here. Defends Against Cavities – A study found that children from Scotland, the Northwest, Wales and Merseyside-areas are exposed to an average of less sunshine. They also found that these children, who were exposed to less sun had more of a prevalence of cavities. Boosts Your Baby-Making Ability – For men, the sunlight boosts your testosterone level. It also reduces levels of the hormone melatonin, which can suppress fertility. Weight Management – A recent study found that adults who get early sunlight during the morning are more likely to have a lower body mass index. You can read more about the study here. Bone Health – The sun’s rays helps your body absorb calcium, which is essential for your bone health. Protection Against Some Cancers – Some studies have found that there are strong connections between low levels of Vitamin D and an increased likelihood of getting certain types of cancers. Improved Sleep – According to Dr. Mithu Storoni, “The brighter your daylight exposure, the more melatonin you produce at night.” Melatonin is known as the sleep hormone. While sun is good for you, you need to remember that it needs to be in small doses. If you’re going to be outside for more than 15 minutes you should apply a sunscreen with an SPF of 15 or greater. 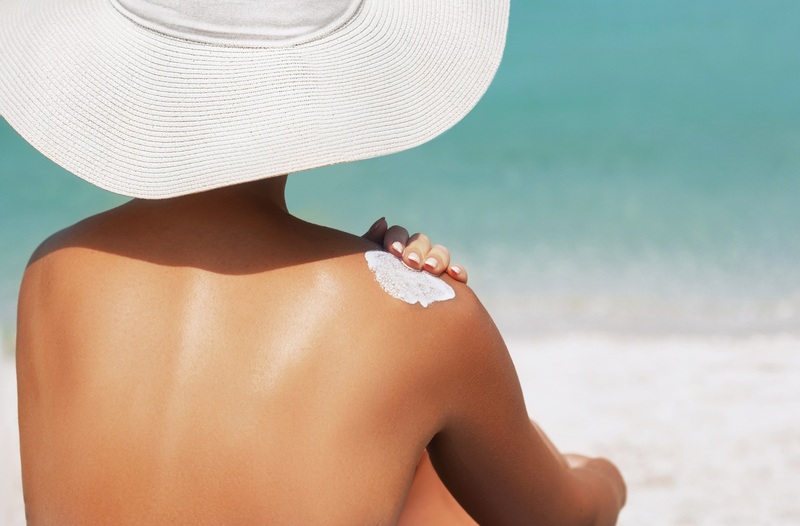 Be sure to choose mineral sunblocks that reflect sunlight away from your skin. Natural Living Ideas suggest five of the best natural and organic sunscreens. Les Belles NYC encourages you to get out in the sun today. Do it for your health, your teeth, and your heart!